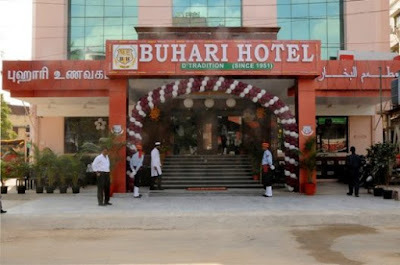 Buhari Hotel is part of a chain of South Indian restaurants called Buhari Hotels & Restaurants. The group has been in existence since 1951. The hotel has many outlets in various parts of Chennai. The restaurant is famous in the metropolitan city of Chennai. It provides vegetarian as well as non vegetarian food. The service is well organized by the team of trained professionals. 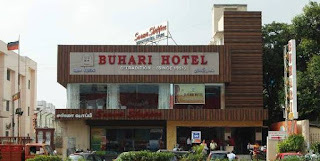 The restaurant is famous for its Buhari Biryani. It is also served with a boiled egg sitting atop with its Mutton or Chicken variant which is very catchy. The Biryani is so popular that it is mentioned in many Tamil movies, songs and other articles and still remains the flavor of Madras/Chennai. Many celebrities and renowned people prefer ordering food from the restaurant.